Revel Guest was educated at Bedgebury Park School and the London School of Economics. Her early career was in politics, starting as private secretary to the Jo Grimmond, Leader of the Liberal Party. She then contested Swansea East in the General Election of 1955 as the then youngest-ever woman parliamentary candidate. She left politics to become the press officer for the UK Council of the European Movement and in 1957 became assistant editor of Time and Tide and left for the U.S. where she wrote a syndicated column from America for the Westminster Press. In 1960 she joined the BBC’sPanorama as its first ever woman producer/director and began her long and distinguished career in films. Her early programmes were as an investigative journalist on domestic issues and international affairs and then she produced and directed a ground breaking series of profiles of major political leaders. She left the BBC in 1966 to become Head of the European Bureau of Public Broadcasting Laboratory, the Ford Foundation’s two-year experiment in U.S public broadcasting which led to the creation of PBS. 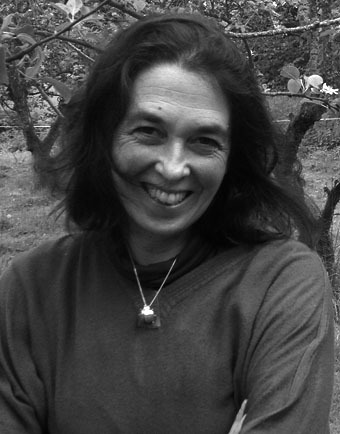 In 1968 she formed Transatlantic Films, the first truly independent documentary film company to co-produce quality films for the international television market. During the succeeding 47 years she either produced or directed (and sometimes both) all of the one hundred and thirty award winning films and series that were produced by Transatlantic Films. She was also Executive Producer of the 12 full length opera and 3 ballet films produced by Covent Garden Pioneer a joint venture between the Japanese electronics firm Pioneer and Covent Garden Opera House and Transatlantic Filmsfor the international television and home video markets. More recently, she has been more involved with feature films. She was Executive Producer of Stephen Spielberg’s BAFTA and Academy Award nominated film, War Horse and she is now developing The Moon is Down, the best selling WWII novel by John Steinbeck with a screenplay by Andrew Davies. She retains strong ties to Wales where she lives with her husband and family and devoted a great deal of her time as Chair of the Hay Literary Festival for which she received an OBE in the New Year’s Honours list 2018. Corisande Albert was educated at Westminster School and the St. Hilda’s College, Oxford University where she read Classics. She was a stagee in the European Union in Brussels for a year and later worked for Biblioteque Francaise in Paris. She then trained and practiced as a Barrister at Lamb Chambers, Middle Temple before joining Transatlantic Filmsin 1994 as Director of Business Affairs. She moved into production and wrote, produced and directed many of the company’s major series and specials. Her credits include History’s Turning Points, Amazing Animal Adaptors, Horse Tales 1 and 2, How Animals Tell the Time, Extreme Body Parts, Science of Love, Sleep and Dreams and Ledgends of the Living Dead. She is currently Managing Director of Transatlantic Films. She lives with her husband and three children in the Welsh Marches where she manages the family farm, writes novels and serves as a Vice President of Hay Festival. 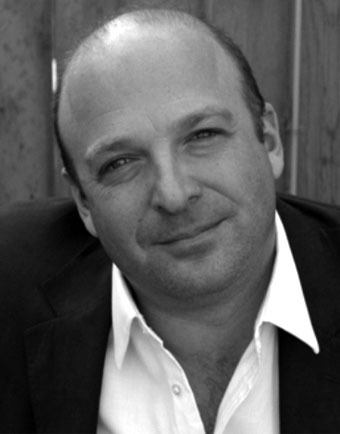 Justin Albert was educated at Westminster School and Buckingham University where he read Law and trained with the Chicago law firm of Neale, Gerber & Eisenberg before returning to London and joining Transatlantic Films where he directed and produced many of its award winning documentaries including; History’s Turning Points, The Biggest Dam in the World, Trailblazers, Lost Treasures of the Ancient World: Ancient China. He then moved back to the States where he joined Mandalay Media Arts of Los Angeles as its Executive Vice President, heading up its documentary film activities. Afterwards he joined Discovery Communications Digital Networks in Washington, D.C. where he became its Vice President in charge of production at Animal Planet. In 2003, he founded West Beach Television, a US documentary film company which produced a series of award winning films. He returned to the UK in 2008 and became General Manager of Horse and Country T.V., while at the same time reestablished his close relationship with Transatlantic Films and continues to be a Director. In 2011, he was appointed Director for Wales of The National Trust where he is responsible for all activities of the National Trust Wales which is the largest landowner in Wales, and it protects numerous castles and historic buildings, thousands of acres of wilderness and farmland, and 200 miles of Welsh coastline. He lives in Wales with his wife and three children and is also a vice president of Hay Festival, trustee of Hay Castle Trustand a member of the Welsh Government Tourism Advisory Board. Robert Albert was educated at Phillips Exeter Academy, Harvard College andColumbia Law Schooland from 1955 to 1957 served in the US Army as a 1stLt. in Vicenza, Italy with S.E.T.A.F. In 1960 he joined the New York law firm of Casey, Lane and Mittendorf and opened their London office in 1963, the first Wall Street law firm to open an office in London after the WWII. Five years later became co-founding partner of Albert, Homet and Albert with offices in Boston, D.C. and London. In 1974, he established the London office of the Chicago based law firm, Sidley and Austin and advised major U.S. corporations and individuals, specializing in international tax planning, financial services, mergers and acquisitions and commodities: e.g. First National Bank of Chicago, A.T.&T, C.B.O.T, Bloomberg, etc. He was also responsible for Sidley and Austin’s expansion into Europe and The Middle East (opening their offices in the Cairo, Muscat and Dubai) and other major financial and commercial centres outside the U.S. He also represented a number of clients in the motion picture, television and music industries (Motown Records, Films Inc, Jadran Films, Maysles Films, etc) which in 1990 led to his becoming Managing Director of Covent Garden Pioneer FSP Ltd. He now has his own law firm, The Albert Partnership and remains active as a consultant in international law and plays an active part in the U.S. community in Britain. He is principal legal advisor of the Hay Festivaland Trustee Emeritus of the European Union Youth Orchestra for which he has served as founding trustee for over 40 years and as Chair for the past ten years. Over the years has provided counsel to many Anglo-American charities including the International Youth Foundation, the Globe Theatre, the American Museum in Bath and, as the doyen of the American bar in London, was the founder of the American Lawyers Luncheon Group and The Phillips Exeter Alumni Association of the U.K. He lives in Wales with his wife Revel Guest and their children Justin and Corisande Albert who also live and work in Wales and are the present Directors of Transatlantic Films, the company they founded together in 1968.